Our comprehensive caravan cover has been designed to give you great value for money, so whether you have a small two-berth touring caravan, an eight-berth static caravan or a large european van, we have an appropriate caravan insurance policy for you. As a specialist caravan broker we are able to search a wide range of specialist schemes to find the most appropriate policy for your needs. All our policies are designed especially for the out of the ordinary and our staff have a high degree of knowledge in this field, which means they can find you cheap caravan insurance, whether you have an imported Hymer or Tabbert van, or if you have a trusty Bailey or Abbey. We offer cover for all manner of unusual and individual caravans, so if you have a classic Airstream, a folding caravan, or a larger imported caravan from Europe, we can offer assistance. 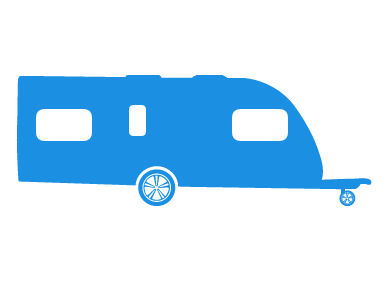 With discounts for membership of a wide range of touring, camping and caravanning clubs, as well as great deals when you obtain your car and caravan insurance through Adrian Flux, we are confident that we offer some of the best insurance services for UK caravan owners. UK models as well as European imports and American imports can all be covered. This is not an on-line quotation system using computer rates. Instead each risk will be individually calculated by our expert staff. Please note that our sales staff are insurance experts not just button pushers and along with our tailor made caravan schemes we believe we offer the best quotation service around. Quicker & Cheaper rates by phone, please complete the call me form during office hours 9am to 7pm Monday to Friday & 9am to 4pm Saturday for an immediate touring or static caravan insurance quote. Whether you're lounging on the beach or hitting the slopes, having the right travel insurance can mean the difference between the holiday of a lifetime and a financial headache. Providing up to £5,000 if your trip is cancelled or cut short, up to £15million medical expenses, £250 money and document cover, £2,000 baggage cover, and £2million personal liability insurance, you'll be fully covered, no matter what happens. Click find out more to get more information, or speak to a member of our team today to get your quote. From standard homes to listed buildings, self-builds and eco homes to flood risks and landlords insurance, our range of home insurance policies can cover you and your home, no matter where you live. Sourced from a panel of more than 30 nationwide insurers, we'll search the market for you to bring you a great policy that matches your home and your budget, without skimping on cover. Plus, with specialist cover for landlords and tenants, students, holiday-home owners, short-let customers and home business owners, you can be confident that we can help, whatever your needs.